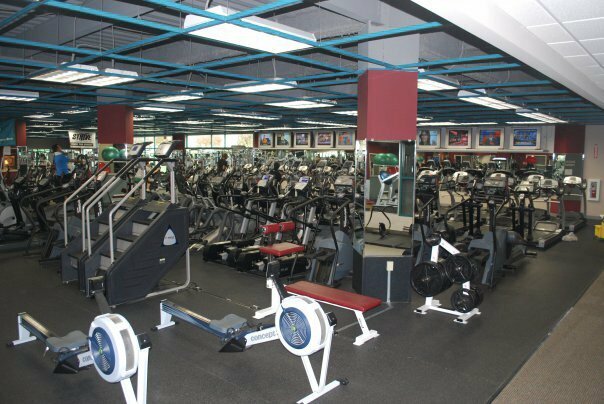 Gym Of The Month: HealthQuest Of Hunterdon! Congratulations to Healthquest of Hunterdon! This best-of-breed designation is reserved for only the best fitness facilities across the land. Learn how they got started, what services they offer, and how they can help you transform your physique! Name of Owner: Jack Cust Sr. It was originally 3,700 sq ft Gold&apos;s Gym in Flemington. Faith Cust the current owner&apos;s wife was an employee of the gym. She always had an undying love for fitness and then in 1998 her husband, the current owner (Jack Cust) bought Gold&apos;s Gym with the vision of creating one of the most state-of-the-art gyms in the area. 3 years later in 2001 HealthQuest opened it&apos;s doors and the dream became a reality. A lot of long hours, a ton of dedicated employees, a large financial investment. It was not an easy process actually making such a big dream a reality. The fact that our facility is an all-inclusive facility makes it different from the rest. 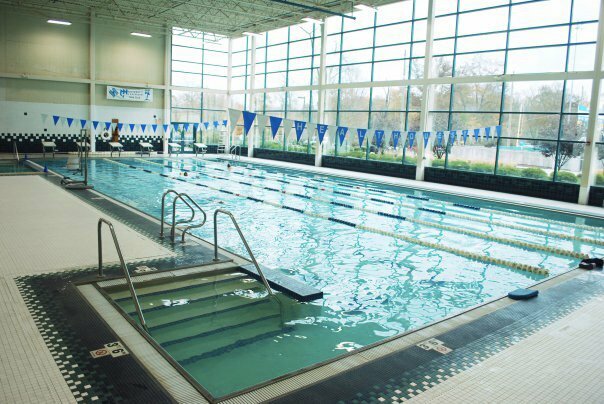 All of our members have access to all of 104,000 sq facility including all 150 group fitness classes a week, use of our 6 lane 25 meter indoor lap pool, our 1/10 mile indoor track. Families also get to take advantage of up to 2hrs a day of childcare as well as children&apos;s programs including, dance, gymnastics, martial arts, basketball, soccer and softball. Including Use Of The 6 Lane 25 Meter Indoor Lap Pool. We mainly attract families because of the great programs that are included in the memberships. However we do also attract a lot of high school and college athletes that train with our incredible fitness staff. HealthQuest is attached to the Jack Cust Baseball Academy and all our top baseball players train here. Tony Tierno and Brad Mason usually have 5-10 players going to play DI baseball a year. Major Leaguers Jack Cust (Oakland Athletics) and Troy Glaus (Atlanta Braves) training with Tierno as well. [ Q ] What inspires people to train at your facility? It depends on what their goals are, but we have something for everyone and that is why so many people come to train here. If you are into Group Fitness we have over 150 classes a week that are all included. We also have a new state-of-the-art Pilates Studio with group classes as well as one on one training. If you are into marathons or triathlons we have running and marathons groups so they have other athletes to train with. Group Classes As Well As One On One Training. We have a Master Swim Program for swimmers of all abilities and ages along with our winter and summer swim teams (6yrs-18yrs). If you are into just lifting with have all of the free weights, squat racks, powerlifting platforms and machines for you. 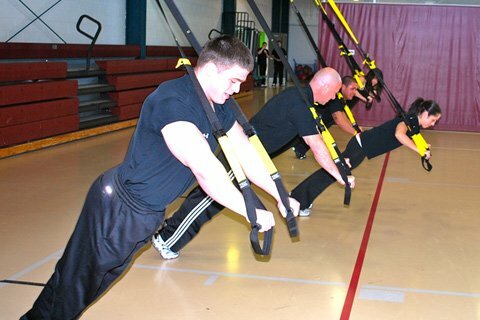 If you are into TRX, Akido, MMA or kettlebells there is a class for that. As well as receiving complimentary fitness assessment, two free training sessions and a complimentary nutritional session when members join. We also have our Technogym for more personalized tracking of your fitness. 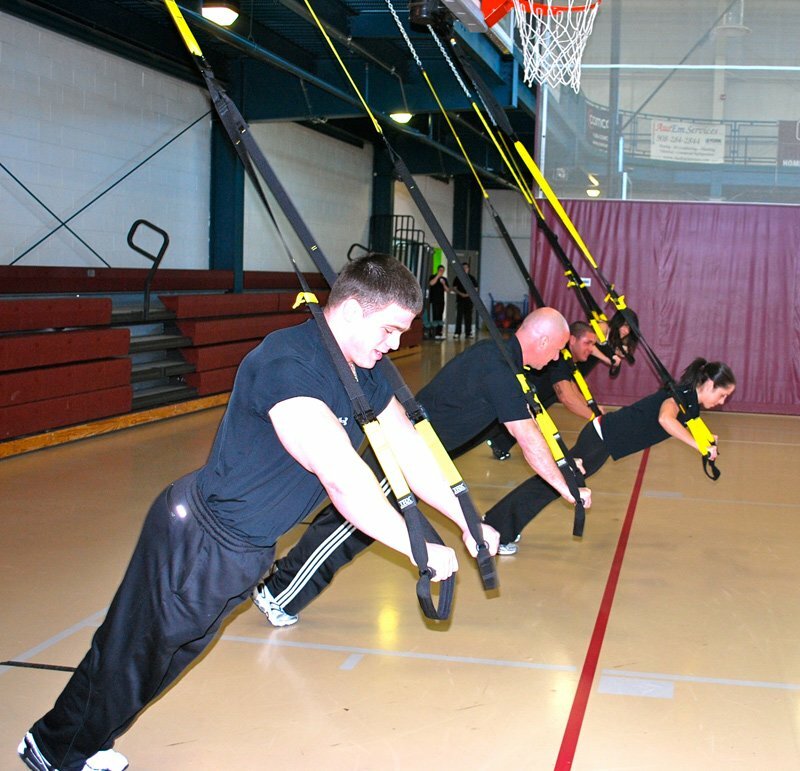 If You Are Into TRX, Akido, MMA, Or Kettlebells There Is A Class For That. Tony Tierno is a Doctor of Naturopathy and holds degrees in Professional Sports Nutrition, Sports Psychology and Food and Body Chemistry. Mr. Tierno is a member of the National Strength and Conditioning Association and American Institute of Preventative Medicine. Tierno trains all of our top athletes of all ages and both genders. He regularly is training state champions, as well as helping athletes reach their potential and reach the college athletic level. Tony also trains professional athletes such as MLB sluggers Jack Cust and Troy Glaus. We have a lot of special services that we offer in our all-inclusive facility. Including our 150 group fitness classes a week, personal training, master swimming, swim team, dance, gymnastics, martial arts, soccer, basketball, softball, day spa, running groups and much more. [ Q ] Who are your most notable present and past members? We have celebrity members such as Joe Piscopo (actor), John Marshall(NBC Weather man), Jack Cust(MLB Player), and Troy Glaus(MLB Player). Keeping the facility up to date as well as keeping the programming fresh and keeping up with the needs of all of our 14,000 members. Up To Date As Well As Keeping The Programming Fresh. [ Q ] What makes you competitive over the other gym chains? The biggest reason we are so competitive over other gyms is that our memberships are all-inclusive. The connections we have made through the years with our members. Our organization&apos;s success depends largely on our ability to deliver great customer service. We are built on the basis of providing our members the very best in the fitness field and offering them as many possible ways for them to reach their fitness goals. HealthQuest of Hunterdon is one of the premiere family fitness facilities on the East Coast. Our 104,000 sq ft facility is full of something for everyone. From our indoor track and pool to our state-of-the-art Pilates Studio. We also offer our 80 pieces of cardio equipment and over 150 pieces of strength and conditioning equipment. We are the training facility for everyday moms and dads to Major League Baseball players; there is truly something for everyone at HealthQuest. Healthquest Of Hunterdon Is One Of The Premiere Family Fitness Facilities From Our Indoor Track And Pool To Our State-Of-The-Art Pilates Studio. Our goal is to help each one of our 14,000 members reach their fitness goals by providing them the most personalized workouts, most up to date equipment and the best trained staff in the industry. We provide the best in sports training including speed & agility training as well as HealthQuest Park located on our campus. HealthQuest Park is a full turf facility attached to the Jack Cust Baseball Academy. 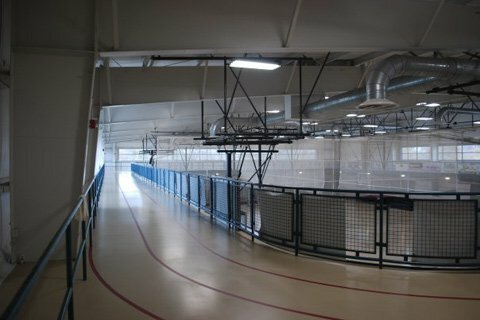 There are three turf fields and the facility is domed in the winter (largest armature sports dome) so all of our athletes can continue their training all year round.